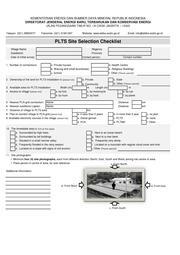 English: Purpose of this checklist is to assess the suitability of a site to accommodate PLTS or PLTMH facility. The checklist also considers available resources and anticipated demand for electricity. 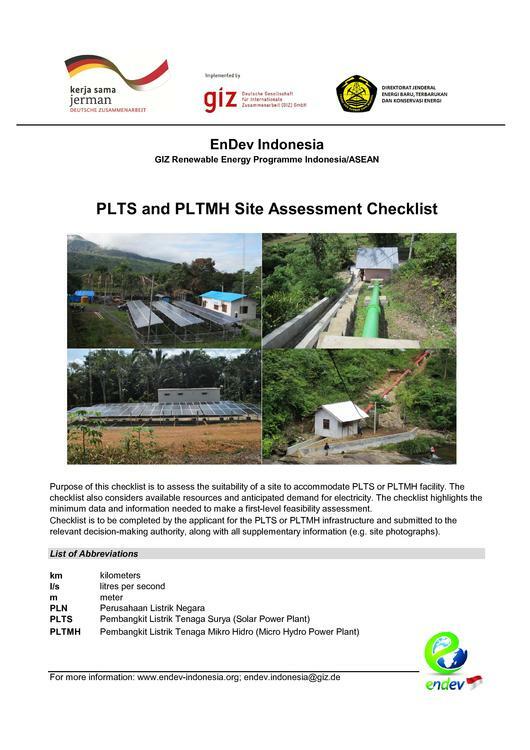 The checklist highlights the minimum data and information needed to make a first-level feasibility assessment.